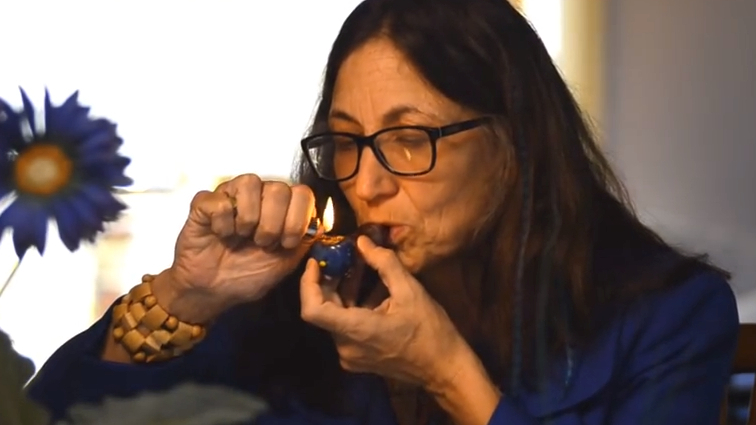 A medical marijuana advocate turned write-in candidate for Rhode Island governor has garnered instant social media attention by smoking what she says is pot in a campaign video. But her media stunt comes with a more serious political message about pot legalization. "I'm Anne Armstrong, and I'm going to be the next governor of Rhode Island," she says in the minute-and-a-half-long video. "And I hope that during my tenure, I will be able to dispel a number of misconceptions about cannabis use." Armstrong, who said she smokes cannabis every day, uses it for medicinal purposes, and also argues that it helps her focus and communicate with people around her. In the video, she takes a hit off a pipe after insisting that pot users "shouldn't be ostracized or marginalized." "It doesn't make people crazy the way you've been told," she says. "We've been lied to for a long time by our government, and something that's been essential to our health has been taken away from us." "Yes, I do smoke cannabis. And yes, I do inhale," she says, invoking former President Bill Clinton's famous "didn't inhale" remark during his first run for President in 1992. The stigma about marijuana has clearly lessened since Clinton's comment. Then-Sen. Barack Obama in 2006 admitted, "I inhaled -- that was the point." And he went on to be elected. Both Obama and Clinton have now said states should be able to carry forward with medical marijuana, as Armstrong says she uses. But it is the official position of the Department of Justice that marijuana is a schedule 1 narcotic. Some former politicians have gone even further than just advocating allowing medical marijuana. Upon retirement in 2011, former Democratic Congressman Bill Delahunt of Massachusetts became the president of a medical marijuana company in his home state, where medical marijuana is legal. 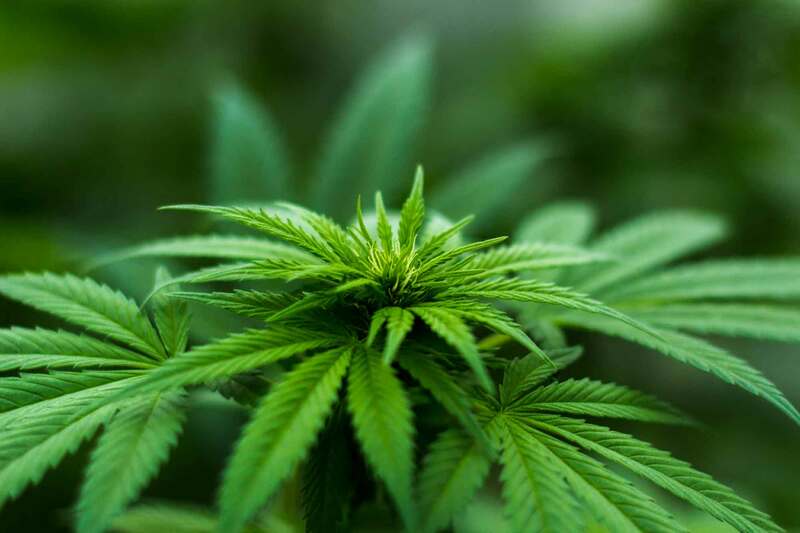 He resigned from his post earlier this month after a failed bid to earn licenses to open three dispensaries in the state. Gary Johnson, the former Republican governor of New Mexico and Libertarian 2012 presidential candidate, has long been an advocate for pot legalization. Now, he's taking that support to a new level by signing on this summer as the CEO of a Nevada-based firm that aims to sell recreational marijuana products. "I think in 10 years, for the most part, the U.S. will legalize marijuana. And what the U.S. does, so does the world," Johnson told the Associated Press. Large changes are already underway: Medical marijuana is permitted in 22 states and the District of Columbia. Ballot initiatives in Colorado and Washington state paved the way for legalization there for adults over 21. Voters in Oregon, Alaska and D.C. will find the legalization question on their ballots. And pot advocates filed paperwork Wednesday to begin a legalization campaign push in California. But it's still safe to say that Armstrong's single-issue campaign in Rhode Island is a long shot. She's up against a crowded field of candidates including Democrat Gina Raimondo, Republican Allan Fung, one candidate from the state's Moderate Party and two independent candidates. Armstrong's name won't appear on the ballot, but efforts like hers to "remove the stigma" about marijuana use could last long beyond November 4.